This week's challenge is STICKERS! 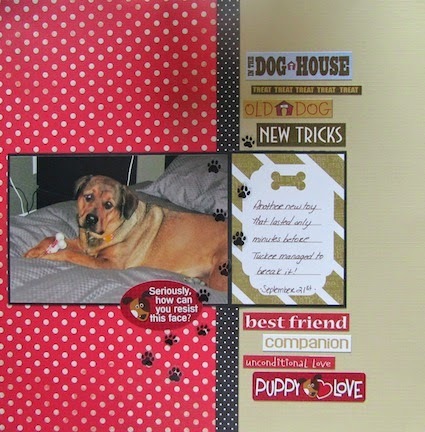 We all have tons of them around and sometimes they can be overlooked in favor of other embellishments and die cuts. Dig out your stickers and use them on this project! Letter/number stickers do not count for this project but word/phrase stickers are fine to use. We are happy to have another Guest Designer with us for this month. Welcome Marion! The paw prints and all the word/phrases are stickers! 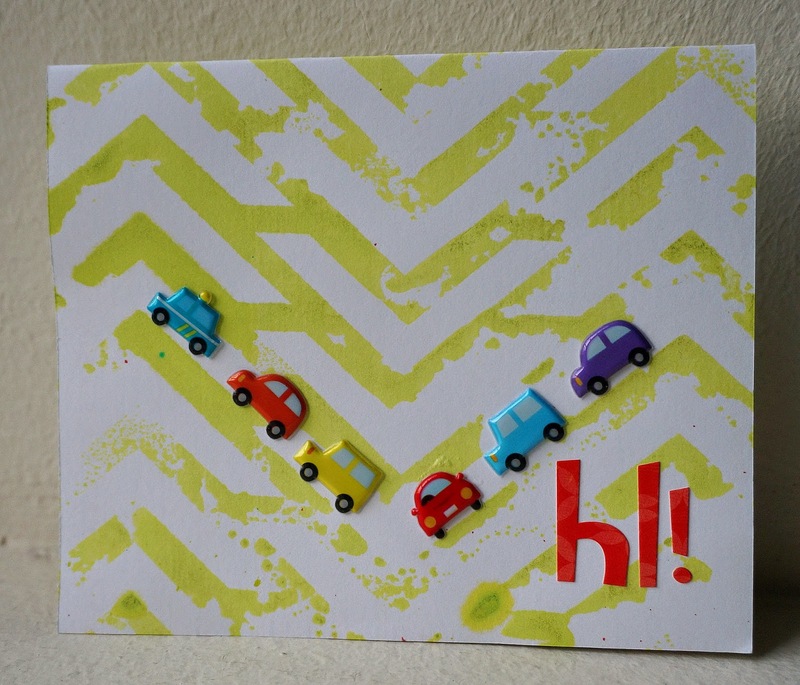 Here's a little boy card. I did a negative print from leftover Dylusions from another project for the background. Then I used some cute cars stickers from thrift shops. Well, did a little cheat add here with 3 alpha stickers from Bo Bunny Ad Lib collection. I'm always excited when I get to "kill" a supply. This challenge allowed me to finish off some glitter crown stickers that I have had in my collection for several years. Thank you Tammy for giving me the opportunity to be guest designer at your blog. The team did a beautiful job! How many times can we enter? I made another card with more stickers from the same sticker sheet!